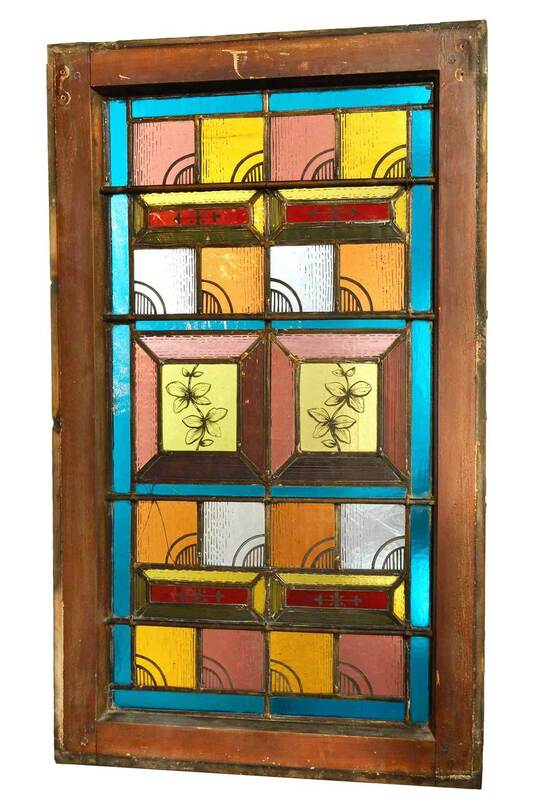 1890's flashed glass windows in wooden frames with one side painted, with Victorian panels featuring decorative floral and geometric details between rows of alternating vivid colored squares. 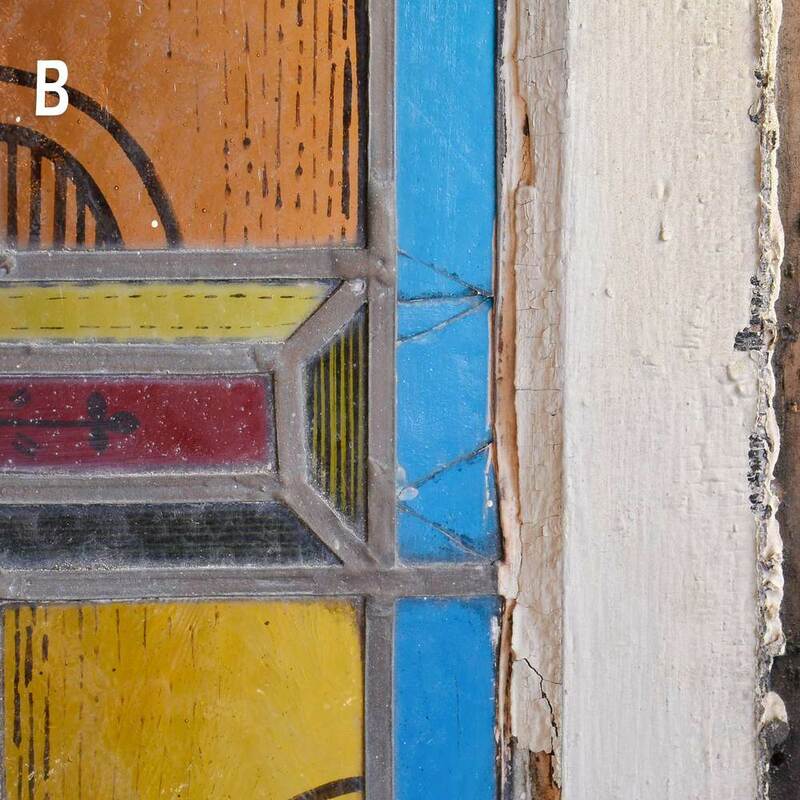 The windows have some small cracks in a few of the panels (as shown). 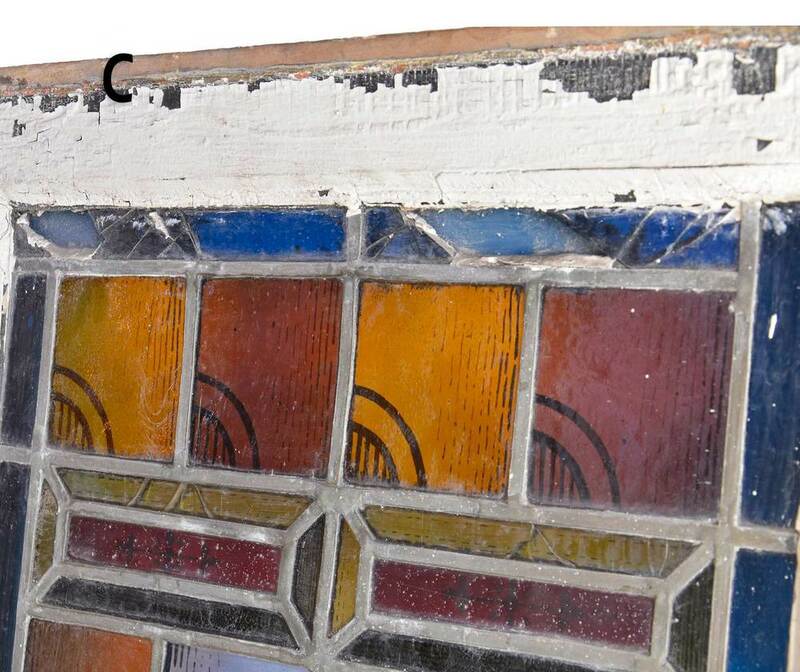 1 also has larger cracks at the top of the window and the original glass has been replaced. 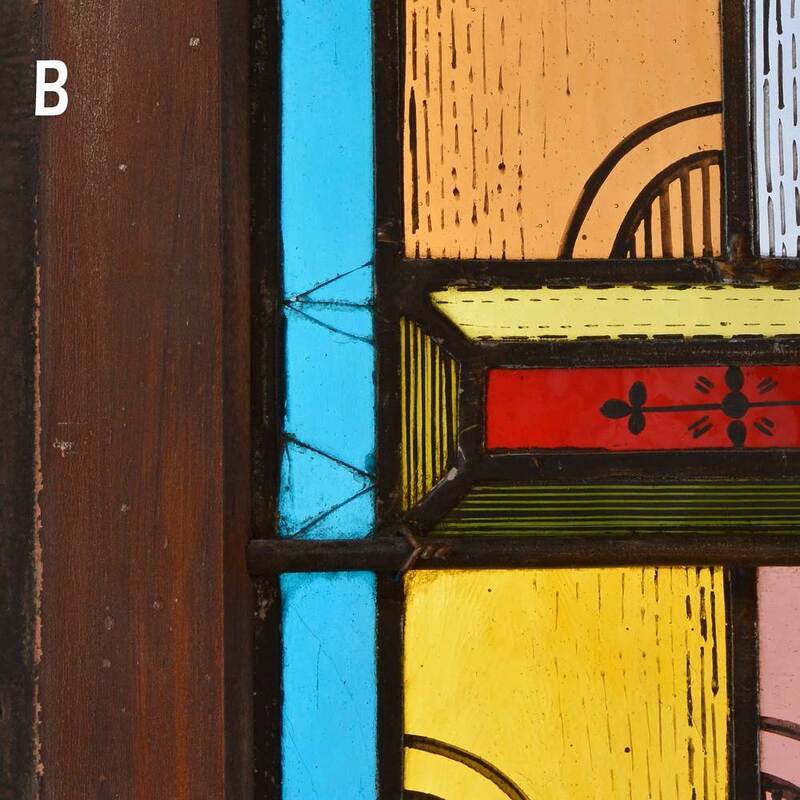 Be sure to include the Product ID (AA#46018) when making your offer.